Today I spend all day painting. First started the morning painting at the Cloverleaf Farm in Dixon. Part of the Yolo Arts & Ag Project. Beautiful farm with so many flowers and orchards and wide open fields. 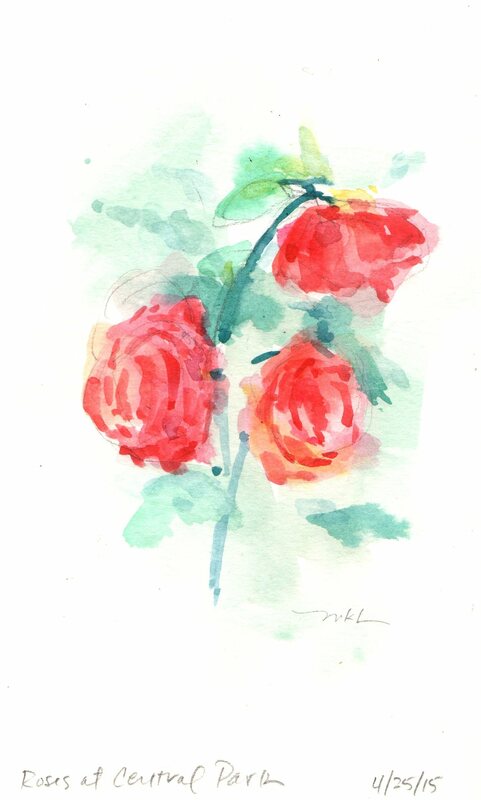 I had painted a landscape then did a couple of watercolors of flowers. 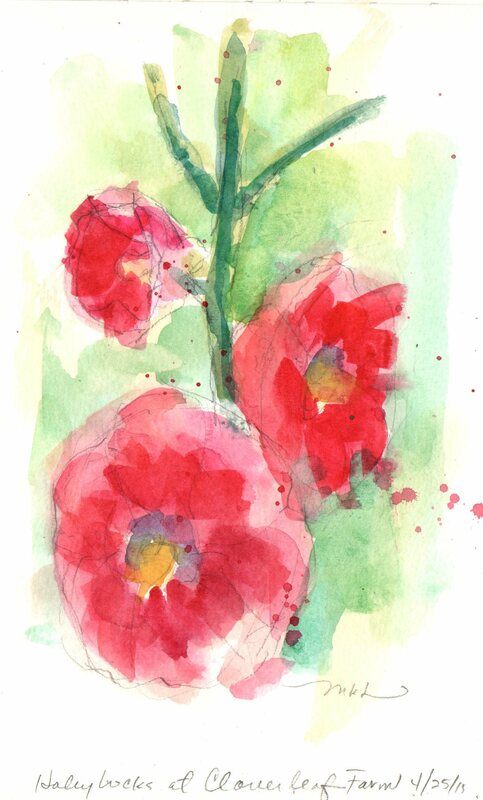 The hollyhocks came out the best of the two. After the farm I went home and took my dog out to Central Park in downtown Davis. Located in the park is a small arboretum featuring ideas for a water drought yard but also featured are these huge and beautiful roses. It’s rare that I get a chance to paint all day.